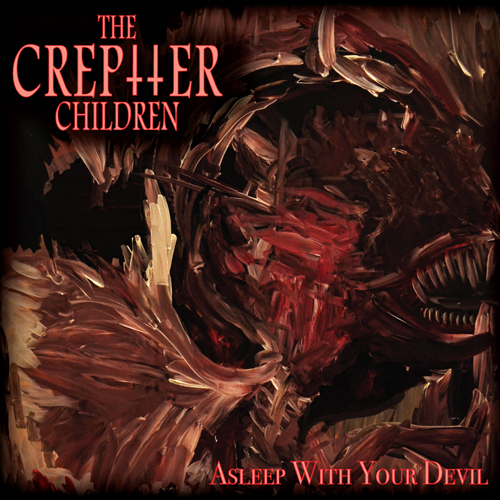 Hailing from Melbourne, Australia from the mind of vocalist/guitarist and fashion model Iballa Chantelle, gothic/industrial hard rock band The Creptter Children has unveiled a new EP, titled Asleep With Your Devil, via Imminence Records. The EP marks the band’s first release with the American label, following the 2010 Possess debut album; the EP’s first track, “Watching You” premiered as a music video on Halloween of 2016 to celebrating the band’s signing. “Asleep With Your Devil to me is just the beginning of oeuvre and artistic expression that will follow,” Chantelle states, further commenting that she was “rather content with the final product” and that she is already “putting together new song ideas as we speak.” The Creptter Children first achieved notice with the 2010 debut album, touring the U.S. in 2011, while Chantelle is endorsed by Ibanez Guitars and Vampress Fashion. Asleep With Your Devil made its premiere two days before its official release date via Ouch That Hertz.